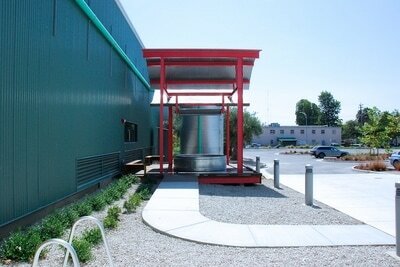 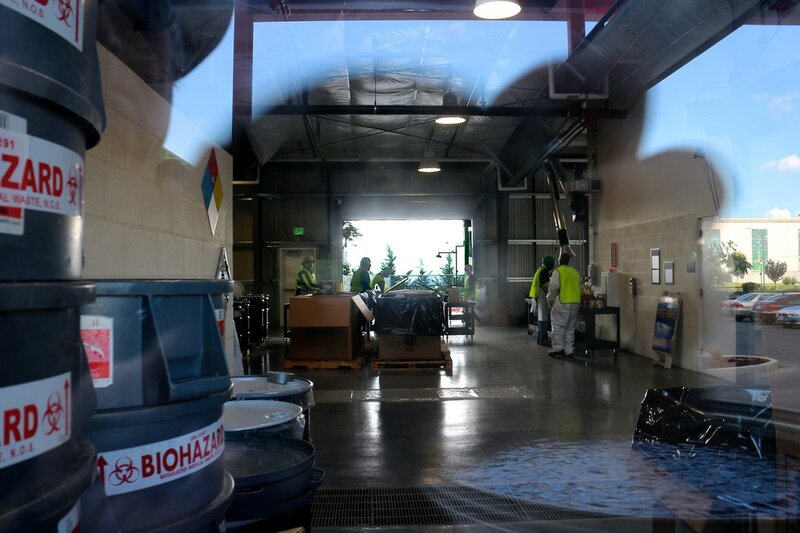 ​Alongside San Jose’s new Household Hazardous Waste Facility, a 6,600 gallon tank collects and stores rainwater captured from the building. 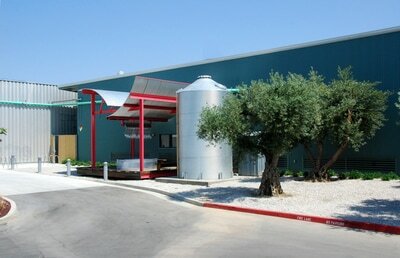 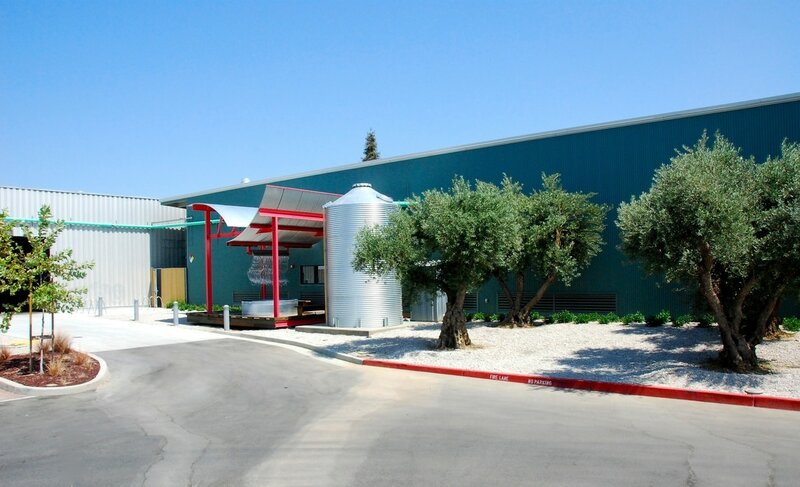 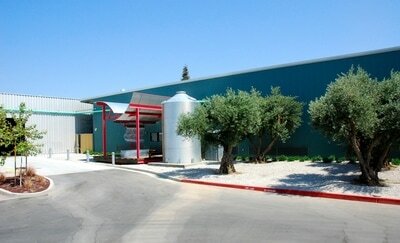 The water is used to irrigate a grove of newly transplanted 100 year old olive trees, grapevines and star jasmine. 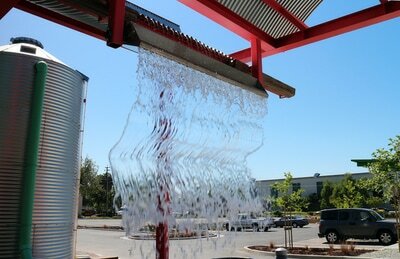 The adjacent “watershed” is constructed of materials salvaged from the demolition of an onsite building. 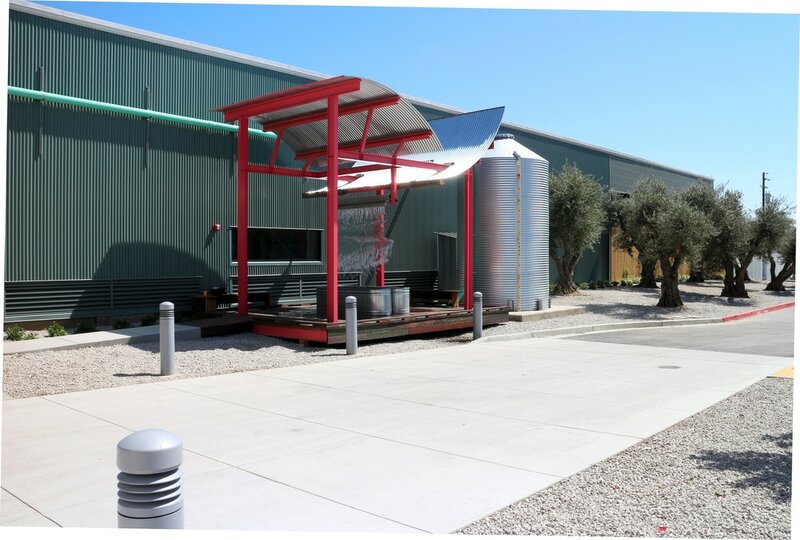 This structure serves as an armature for a water feature and a place to watch the processing of hazardous wastes inside the building. The installation explores the divide between what we want and what we need.